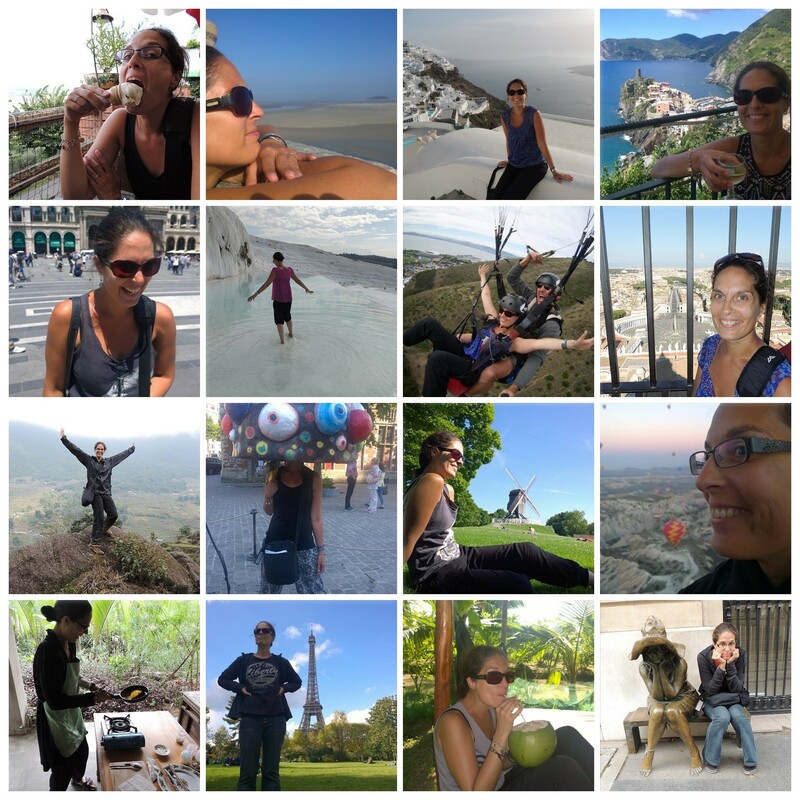 As we travelled around the world, I wrote down thoughts about Crohn’s and about what it is like travelling with an ostomy. I wanted to do this for others with a stoma, to help with hints and tips on what to do and what not to do, and hopefully prove it can be very doable! I first want to acknowledge that this is MY story, and MY experience. I am incredibly lucky to be feeling so well now, and I know that there is no way that I could have made the trip as I was prior to surgery. Having an ostomy can be challenging. 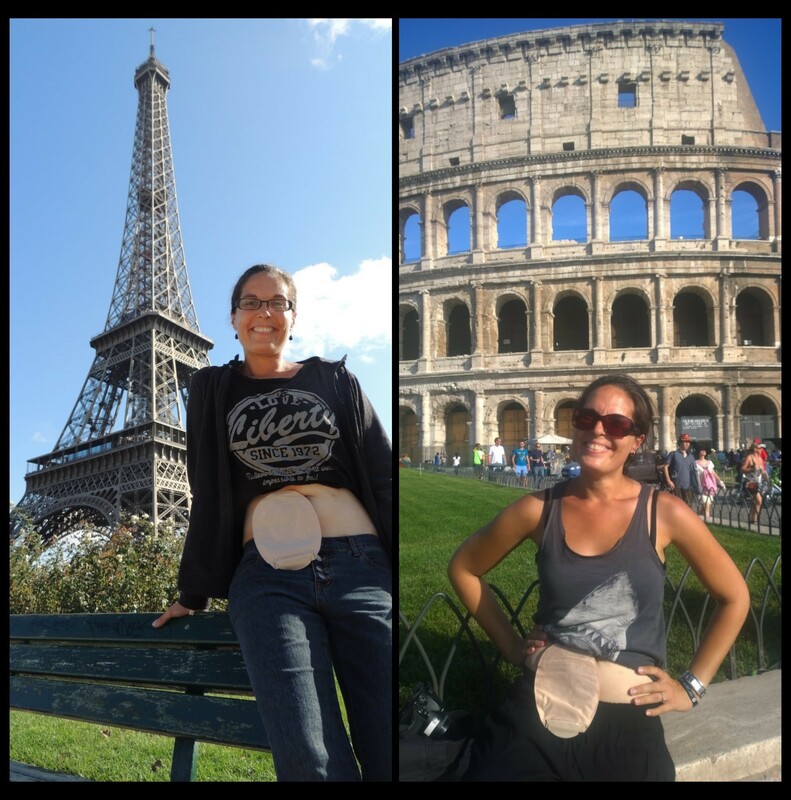 Body shape and different circumstances can make living and travelling with an ostomy completely different for different people. I am extremely fortunate that I’ve not had one major mishap since my last surgery, and that may not be the case for everyone. 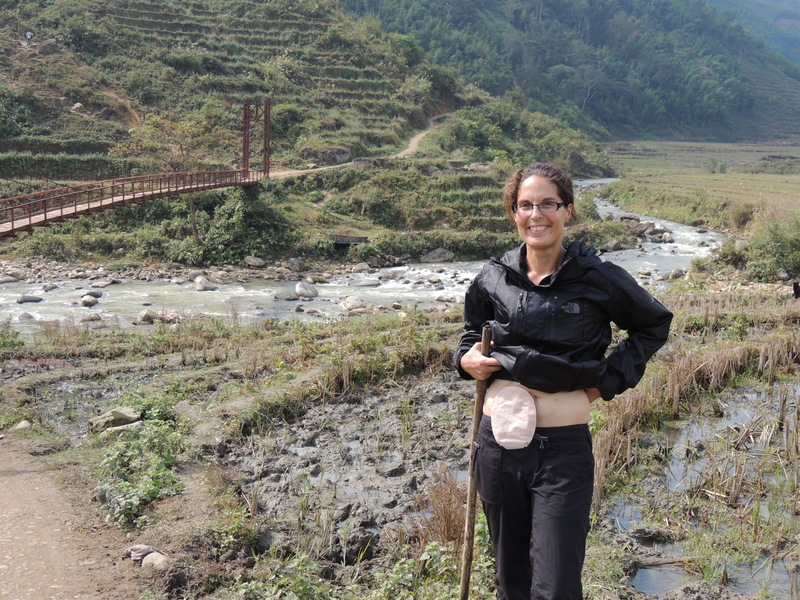 I found a stoma bag that fitted me perfectly and worked for me from the onset. For some people that can take months. I have virtually been able to eat whatever I like (as long as I chew properly) and have not had one blockage, but again, this may not be the same for everyone. Surgery for me was something that in the end I’d had time to talk and think about, so I went in armed with information and a level of preparedness that many people do not have if emergency surgery is required. I am sure this can make a huge difference to one’s mindset and managing life after surgery. 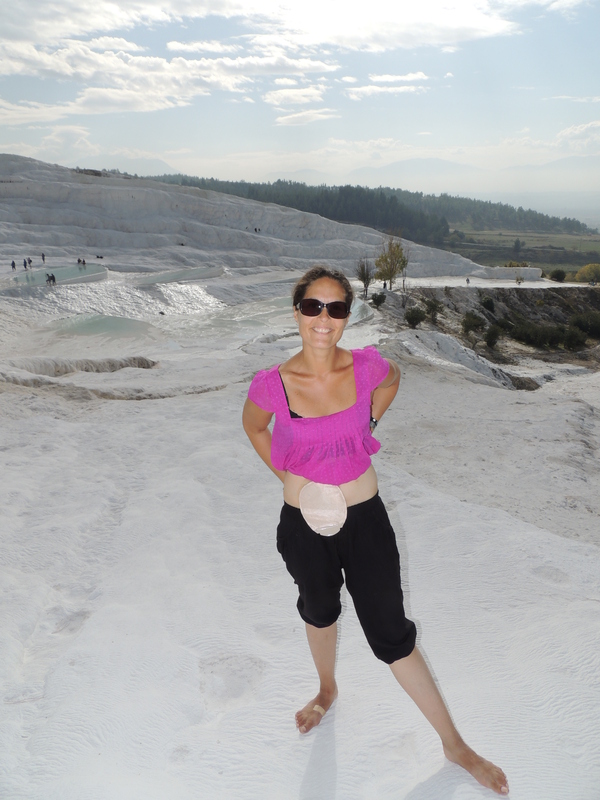 The number of challenges for me travelling with an ostomy were far fewer than I imagined or worried about. In fact, I can even think of some ways in which you might say it was a benefit! From pre-departure planning, arranging and carrying supplies, to emptying and changing the bag in foreign places, eating different foods, and even organising blood tests, I really had no significant issues at all. Of course it took a bit of organising, patience and sometimes even stamina, but all in all it was smooth sailing (or smooth pooping!). I’m not going to lie. It wasn’t all effortless and stress-free. There were days I would curse having to walk another step lugging my heavy bag of supplies. Days I wished I didn’t have to get up and change my bag. Moments that I was irritated with the fact that my bag was full again and we needed to find somewhere to empty again, sometimes at the most inopportune times. Very occasionally I opted out of doing something (such as going for a swim) because I didn’t want to get my bag wet and have to hassle with it. On the odd day I would feel slightly annoyed with the fact that I had this extra little thing to worry about. Some days I would just feel a bit flat and tired, or be upset about something so trivial like the location of our accommodation or a bad meal. Then I would berate myself. I had no right to feel like that. Look at the millions of people who are in far worse situations than I am. Look at how sick I was only a year ago. Look at where I am and what I’m doing! I quickly snapped out of it, and I do have to remember that everyone is entitled to have their off days. I keep telling myself that I don’t want the experience of the last few years just to be forgotten. I know that could NEVER be the case. I went through hell and back, but I have also learnt so much since being diagnosed with Crohn’s disease, and also since having an ostomy. I have honestly changed my way of thinking in many (positive) ways and reassessed what is most important in my life. Even though I am now so well, I also know that there is a chance that my Crohn’s could return. When you are sick, sometimes you forget what feeling well can be like. Feeling sick becomes your norm. Now that I am well, feeling well has become my norm again. This is wonderful, and I don’t want to dwell on being sick. However, it is potentially quite easy to lose sight of things and go back to some of my other old norms, some of which I now see as bad habits. It is important to live in the moment as much as you can and continue to make the most of every day no matter how you’re feeling. I want to enjoy being well, but also be aware not to fall back into those old patterns, preserve those realisations, and most of all acknowledge how thankful I am to be at the stage I am now. I try to do this every day. Particularly when we were travelling, I would often sit after a day out, while at a beautiful vineyard having lunch, watching my favourite band playing live in Amsterdam, hot air ballooning in Turkey, walking around a local market or through a quaint European town, paragliding off a hill in South Africa, or sharing laughter and good times with old and new friends, counting my blessings for being well again. I remember having a dream when I was in the middle of one of my worst flare ups. We were in New York City at Central Park. Everyone else was out in the park enjoying the sunshine, kids chasing pigeons, couples strolling hand in hand, tourists watching buskers, or picnicking on the grass. Michael was standing by a fountain, calling me to join him. I couldn’t. I was standing in the centre of the park, next to a block of public toilets. I so desperately wanted to join him and everyone else, but I was stuck there. I literally couldn’t move. The Crohn’s had a hold of me. This is what Crohn’s disease can be like. I woke up feeling overpowered, stifled and sad. We didn’t get back to NYC on our recent trip, but it’s definitely on the list!! I will go into more detail about the specifics and practicalities of my experience travelling with Crohn’s and an ostomy in upcoming posts, however I want this post to be about the overall adventure! About the incredible things we did and saw, that had been inconceivable to me only 12 months beforehand. Amazing things are possible …. with Crohn’s …. with an ostomy. I can still clearly remember 2 lovely ladies I met at CCA Support group facilitator training several years ago. This was long before surgery was even on the table for me, but I remember being so amazed and impressed with those ladies’ positive attitudes and views of living life with their ostomies to the fullest. They coined the phrase “have bag, will travel”, and that is exactly what I did! 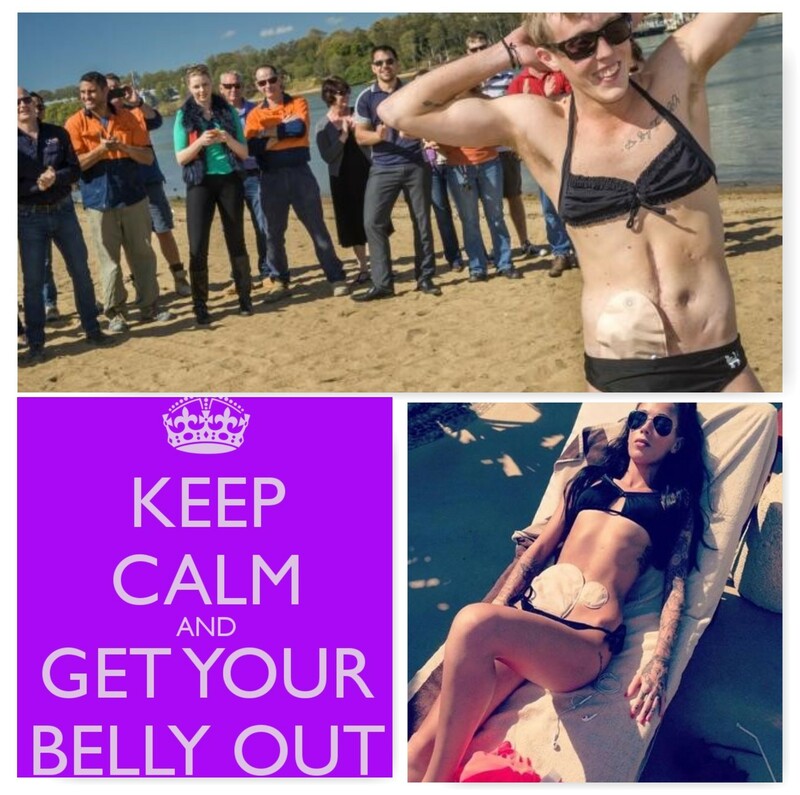 I am inspired by others with IBD and their stories every day. While we were travelling, fellow Aussie Crohn’s sufferer and ostomate Daniel Searle was in the media for reproducing the photo that went viral of Bethany Townsend. Bethany posed in her bikini with her ostomy bag whilst on holiday in Mexico as part of the worldwide #GetYourBellyOut campaign to raise awareness for IBD. Now, I’m not one who would have posed in my bikini even prior to surgery, but I’m not afraid or ashamed to get my bag out! So as we travelled around the world, I decided to get my belly and my bag out too! 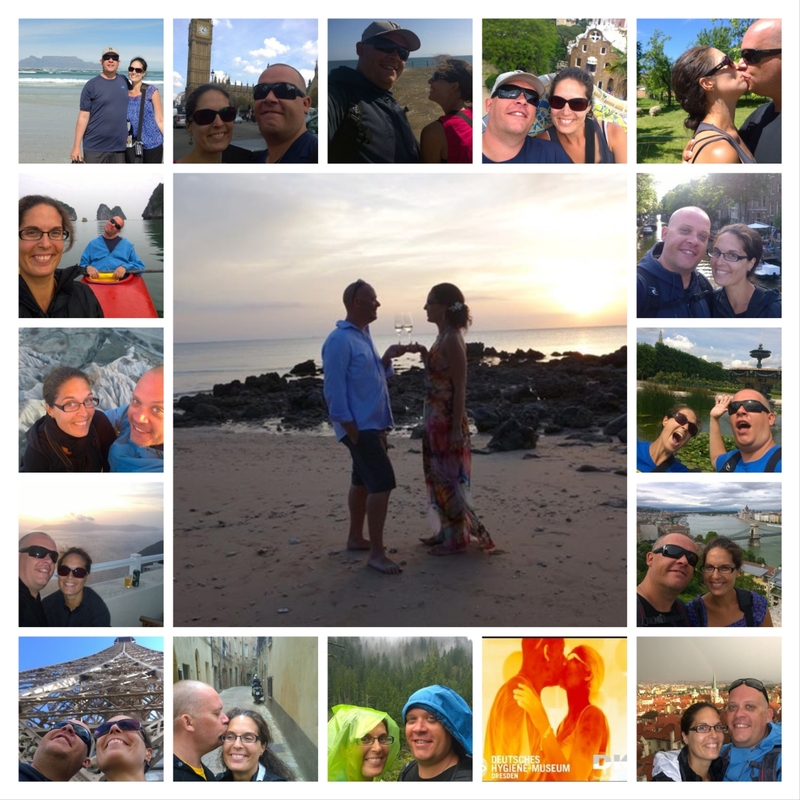 In front of the Colosseum in Rome, the Eiffel Tower, Trafalgar Square and Big Ben, on the beaches of Thailand, trekking the rice paddy fields of Vietnam, and even on my wedding day! I hope this helps and inspires other people who may be struggling with their ostomies and shows that there can be life after a stoma. For me, so far, it has given me back my life, and enabled me to fulfil some lifelong dreams that for a long time I feared would never be possible.